Part of me feels the pressure to cram as much fun and memories as I can into 8 weeks of summer vacation. Part of me just wants to be lazy and just let things happen as they happen. You know, tap into my "free spirit" that I so desperately want to claim as part of my identity, but in truth, is totally not me because (let's be real), I'm a planner. I polled ladies and mompreneurs just like you to share their favorite wish list items to do when the season gets warm. You can also use these ideas as a jumping off point to make your own list... I've even included some space for you to write down your own bucket list ideas. Meet together as a family and make a plan for this summer. Then post it on the fridge, the family board, or another place where everyone can see it. By the time school is back in session, you'll be feeling like an accomplished world traveler (even if you never left your backyard). Cheering you on in this new season as you make both business and LIFE happen this summer. 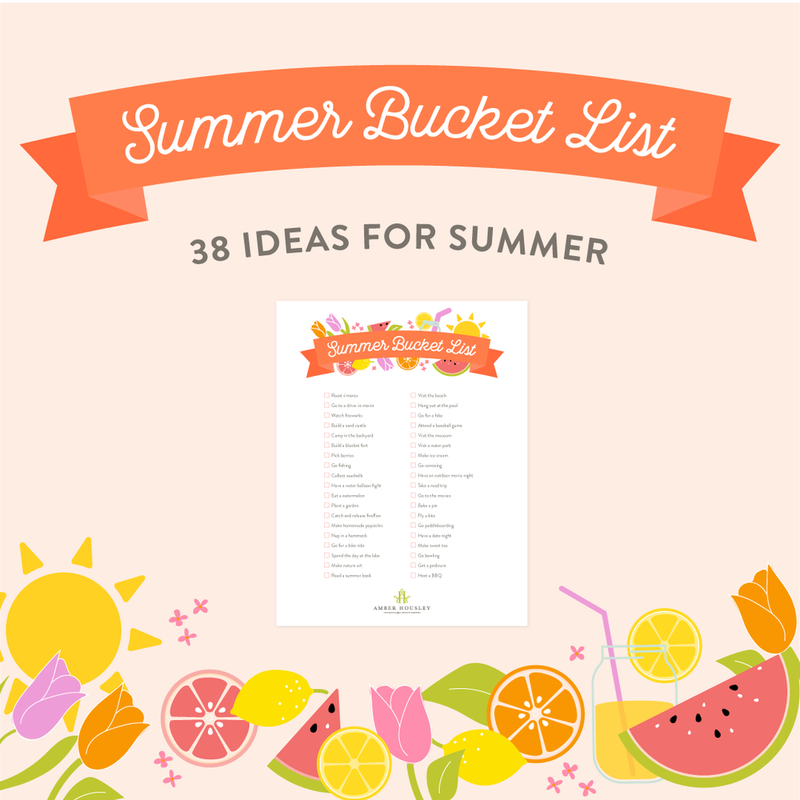 Don't forget to download your printable summer bucket list below! Roasting s'mores and heading to the drive-in for a double movie feature... These are the things we remember from our childhood summers. In need of more ideas to make this the best summer ever? Get this list of 38 bucket list activities, plus room for you to write in your own!